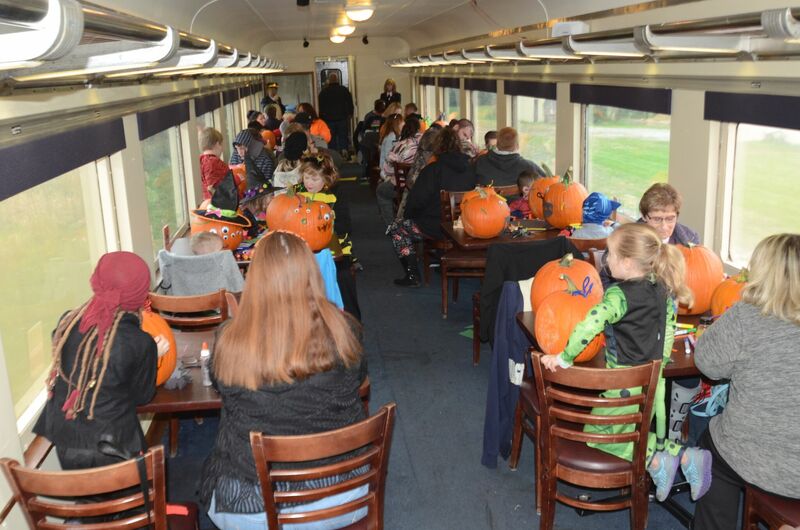 Cuyahoga Valley Scenic Railroad celebrated Halloween this year with two special train rides and they were ghoulishly delightful! 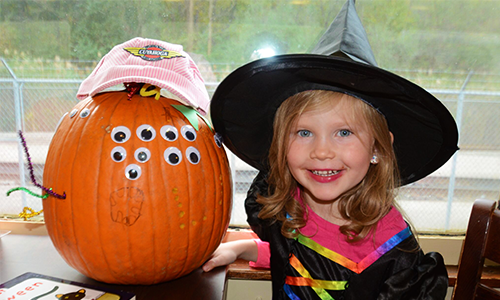 From spooky and adorable costumes, to pumpkins with googly eyes…we had a blast! 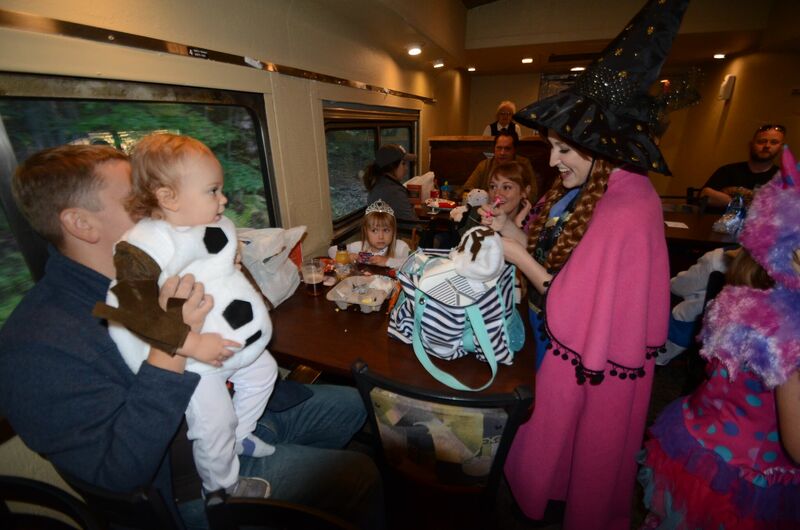 Outfitted in their costumes, families climbed aboard for our Super Royal Halloween Train on October 14. 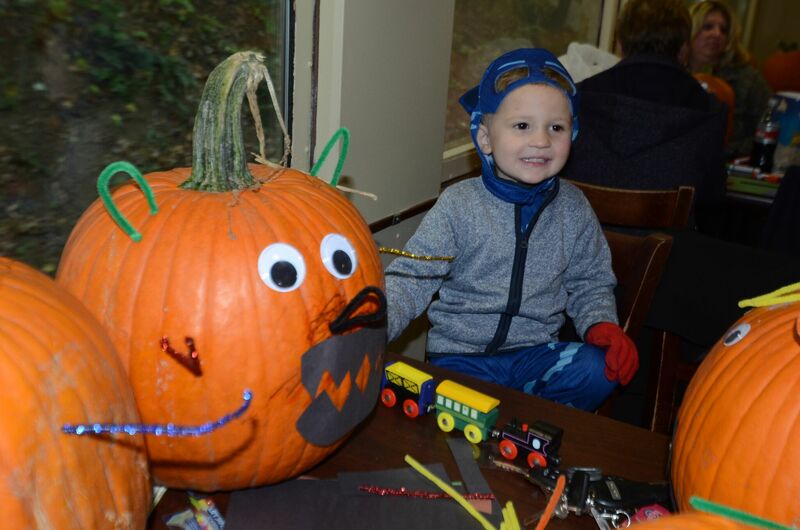 Kids had a fa-BOO-lous train ride filled with fun games and Halloween-themed cookies! Some very special guests even made appearances! 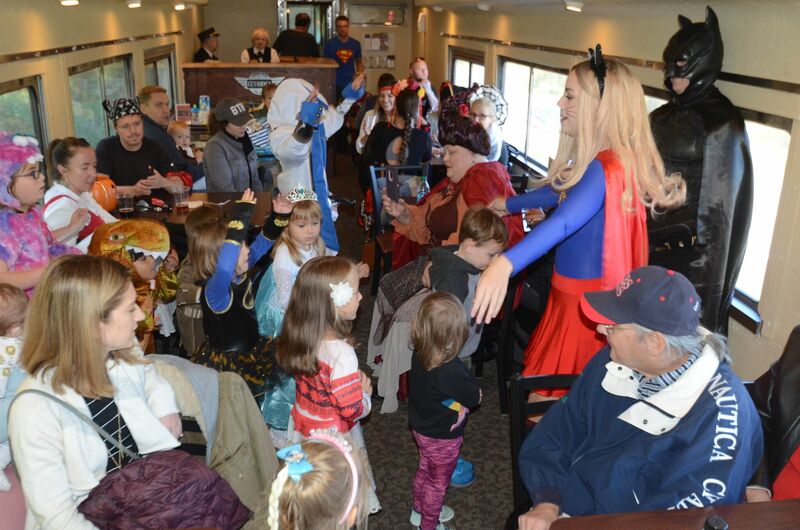 Ice Princess, Snow Queen, Bat Guy and Super Power Girl all stopped by to join in on the fun! 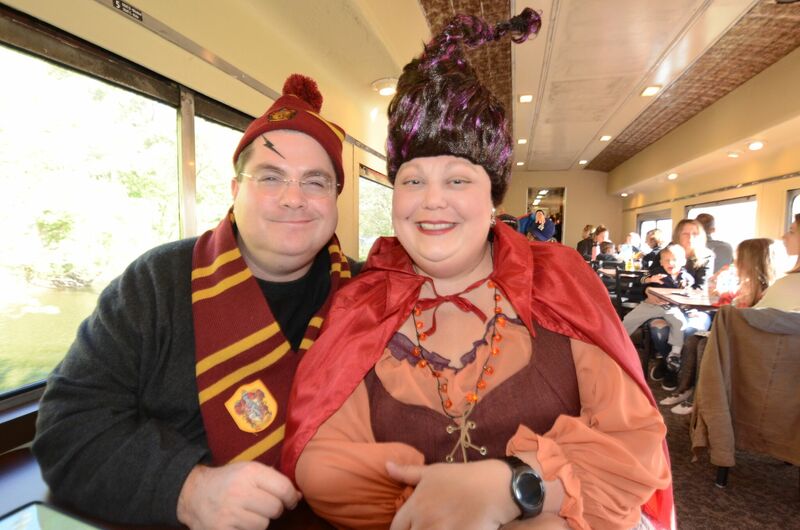 Families sang songs and listened to stories from the characters, even getting a chance for an autograph! 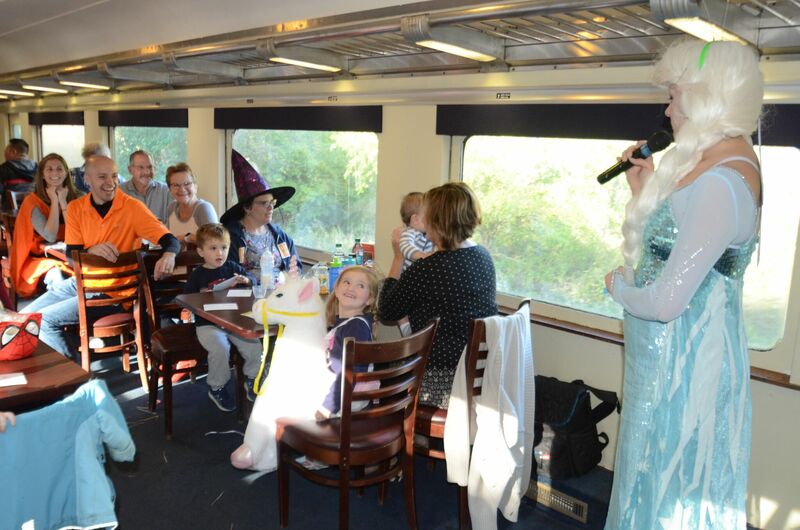 On October 20 and 21 families climbed aboard for our other Halloween-themed train. 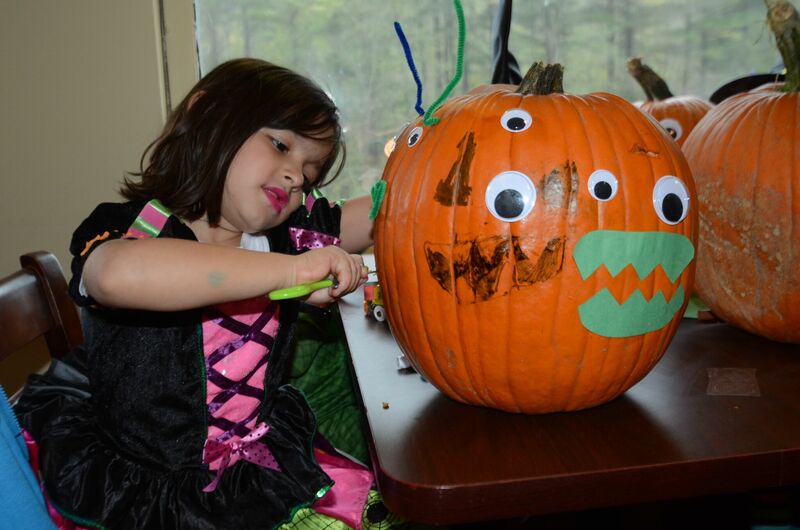 This time, they decorated pumpkins! 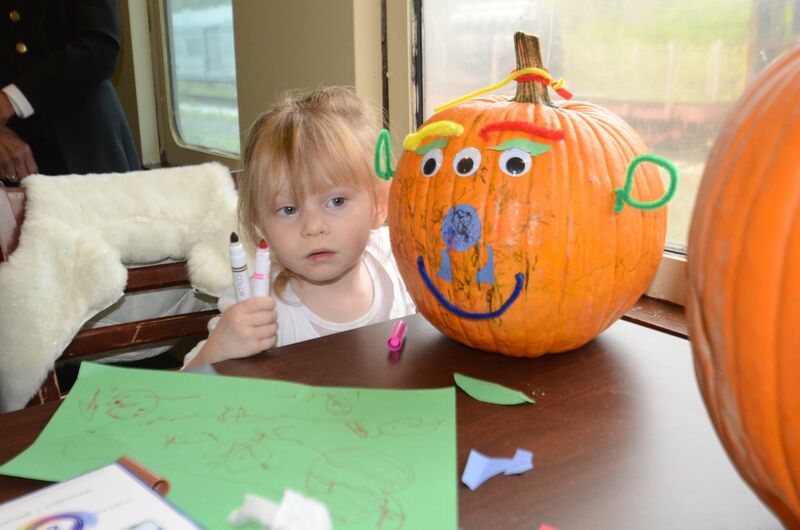 Families joined us for an afternoon of riding the rails and getting crafty. 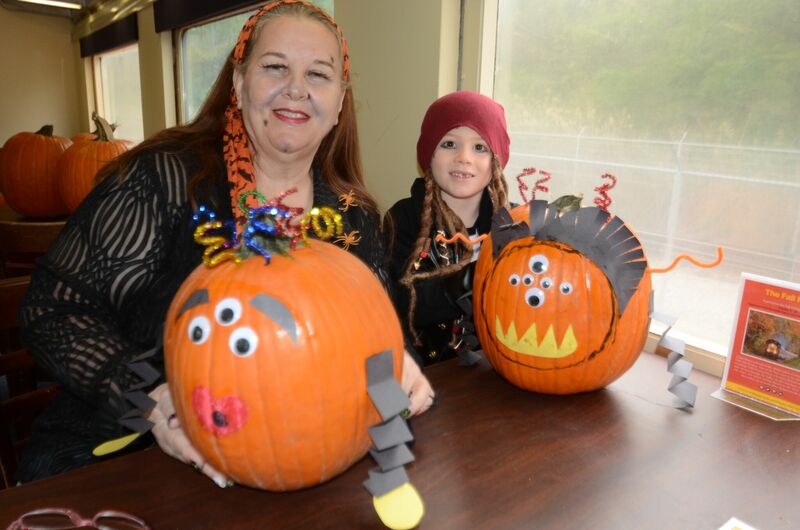 On board, CVSR provided a variety of art supplies to get those creative juices flowing…there some fang-tastic pumpkins!